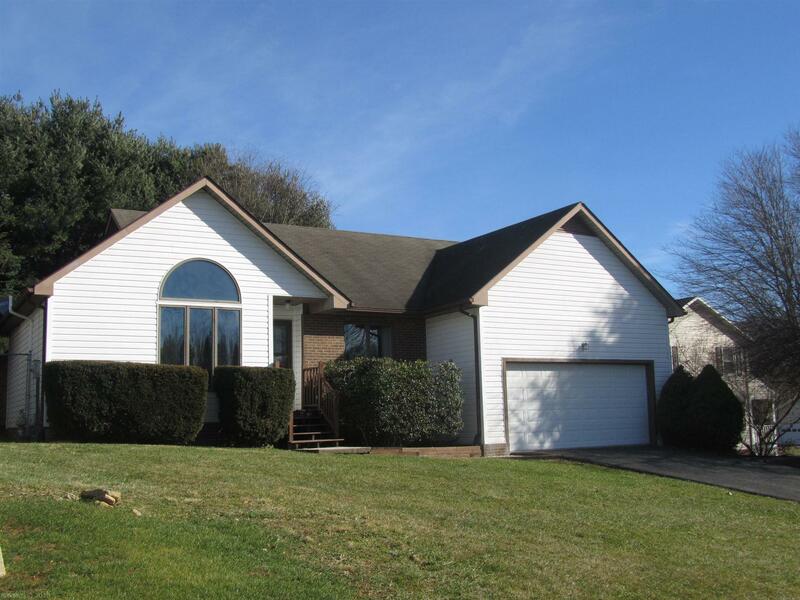 Super nice one level home on a mostly finished walk-out basement in a quiet neighborhood convenient to VT, Radford and Christiansburg. Enjoy paying lower county taxes with public water, sewer and cable all available. Vaulted ceilings, hardwood floors, and new granite countertops are just a few of the interior features. A large deck with a fenced back yard, double car garage and paved drive, are some exterior pleasures you will enjoy. Three bedrooms on the main level open to the lower level, which has a 4th bedroom, home office and family room, which could function as a 5th bedroom. Community park at the end of the road provides a quick connection to the great outdoors. Slate foyer and gas fireplace with a pass through to the kitchen are features of the great room. Directions: Price&apos;s Fork To Thomas Lane Then Left On Wall&apos;s Branch And Right On Sandy Circle. Home Down Road On The Left.